Strumming 101: How To Strum Your Guitar Like A Pro! All 7 books are jam packed with useful and highly relevant information to shorten the learning curve for the modern guitarist and to help you learn in a fun way. All 7 books are written from real world, practical advice from full-time guitar teacher Dan Thorpe. All the techniques you will learn are the exact same ones I teach my students on a day to day basis consistently taking 96% of them from having never played before to fast becoming the guitarists they dream of being. Instead of you paying $40 (about £30) per lesson for about 6 months of private tuition (which totals $1,040), you can now access my key knowledge and lessons that all students are taught for just a fraction of the price. Here is a little about each book and just some of the key things you will learn. Strumming is an essential and often VERY overlooked part of guitar playing. Yet, it is strumming that separates the awesome guitarist from the poor sounding amateur. Learn how to hear what strumming patterns are used in a song. Learn 5 of the most useful strum patterns ever. Learn exactly when to strum up and when to strum down. Be able to call on the most important strum pattern at will and impress others with just a handful of chords and some awesome strumming skills. Comes with easy to read chord and strumming diagrams and multiple audio examples. “This is a GREAT book. Short, to the point, and covers one of the most essential–yet overlooked, when it comes to method books–techniques of playing guitar. Considering that most guitar instruction books are $16-$25. It’s short, sweet, and to the point. Author teaches the five most common strumming patterns, each with a variation. He provides a link to a sound file for every pattern/variation, which is to be expected as it helps a ton (but not every book does this). An absolute 100% essential if you’re still learning the basics of guitar. This is also a good book for plenty of guitarists who play out. Do not worry – `Guitarists Get Theory` has the answer taught in a fun, light-hearted and simple to follow guide. “I have been playing the guitar for years, but theory has always eluded me as a self-taught player. This book, in the span of an hour has taught me more than I’ve learned in the last decade. So simple, but so clear and easy to get. I can’t wait to read it again and begin to finally grasp the guitar, instead of fumbling around for hours waiting for “my ear” to find the right notes. This is a must read for anyone beginning the guitar. Learn this now and save yourself the pain, for experienced players, take the time to look this over if you have questions about theory. It also explains the “Nashville” style of session playing that uses Roman numerals for chord progressions, something I always struggled with. Did you know that slow chord changes are the reason why most beginner guitarists quit the guitar and those that don`t quit spend many months (sometimes years) forcing themselves to practice and not really enjoying it? Well, enough of that. There are specific things you can do to increase the speed of your chords changes so you can actually get on enjoying your guitar playing and play the songs you love. `Lightning Fast Guitar Chord Changes` has the solution. 6 powerful steps to help you master the `dark arts` of changing chords. 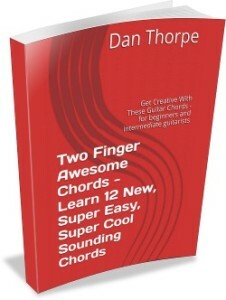 “This is a fantastic resource for learning to make chord changes on the guitar. If you are struggling with making the pieces you play flow nicely because of the pause between those changes, “Lightning Fast Guitar Chord Changes” by Dan Thorpe will set you on your way to improvement! 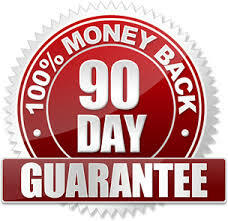 If I could show you a guaranteed way to get an awesome guitar tone, without spending a lot of money and doing so with instant results you can get today would you be interested? Do you dream of getting the tone of your favourite guitarists but no matter what you do you can`t get that sound? You could also spend 1000`s of hours of tweaking and testing. Now you don`t need to, How To Get An Awesome Live Guitar Sound has all the information you need to see instant, usable results that will enhance your tone dramatically. Have you watched a tonne of YouTube videos but not found anything useful to YOU? Do you really want to learn the guitar but fear you are not good enough? We have all been there – trying to get good at playing the guitar can feel like banging your head against a brick wall. Easy starter songs that will blow your mind. Why rhythm is your most important tool – and how to develop it! “As a new guitarist I was looking to a book for advice and to point me in the right direction and I found it!!! This book is fantastic! The author clearly has a wealth of knowledge and experience in regards to this instrument! The book is suitable for new or experienced guitarists and I would highly recommend (in fact I have to many people!). In my opinion of teaching countless students, mastering barre chords helps take you from being a beginner guitarist to an intermediate player. The amount of songs you will be able to play will skyrocket and the amount of styles you will be able to play will increase dramatically when you learn these chords. Do not worry – `How To Play Barre Chords: The Simplified Guide For Chord Guitar Mastery` has the solution. Go to Amazon to see more great reviews of these books….Unlike Amazon if you buy direct from me all the eBooks are available in both pdf and Kindle formats. And if that`s not enough! Now, the Super eBook bundle comes with an extra book. You now get 8 eBooks for the price of 7. Order the Super eBook bundle today and you get all of the above 7 eBooks plus another – Two Finger Awesome Chords (worth $9). Two Finger Awesome Chords features… audio, tab and plenty of useful tips on how to play simple, easy and fun two finger chords that sound awesome! Get to grips with lush sounding chord extensions that are a breeze to play. Sophisticated chords shouldn`t be hard! Be able to play complicated chords such as Gmin7add13. It doesn`t just look cool, it sounds great too. Listen to the 4 audio examples showing you what you can do with these simple and fun chords. When you download Two Finger Awesome Chords you will also get a free download for the 4 audio examples in the book as yours to keep forever. There is nothing worse than buying a guitar book and not being able to hear the examples. With Two Finger Awesome Chords you can listen back to the high-quality recordings whenever you like. If you were to buy all these eBook separately you would be spending nearly $60. Instead you can get them all in one handy package for you $27. These 7 eBooks will absolutely, 100% positively change your guitar playing and if they don`t you have 90 days to get an instant, no questions asked refund. You will get a 100 percent money-back guarantee if you don’t feel these products have improved your whole guitar playing and helped you on the road to mastering these areas of the guitar. This is a saving of 50% which equates to $27 if you were to buy all these books separately from Amazon plus you get the added benefit of my 90-day money back guarantee and the books come in both PDF and Kindle formats which they don`t on Amazon. 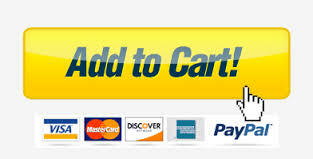 Please note, you DON`T need a PayPal account to purchase. You CAN use a debit or credit card. Once purchased you will get lifetime access to the eBooks, so if you download them, and your PC/Kindle/Phone breaks, you do not have to worry, simply log in and you can download them again.